YESH! You're right! 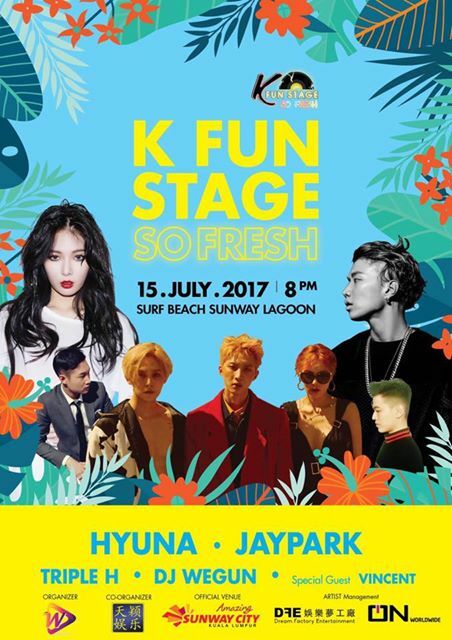 HyunA, JayPark and Triple H will be coming to Malaysia for K Fun Stage So Fresh on 15 July 2017 at 8pm, Surf Beach Sunway Lagoon. Hyuna and Jay Park definitely not a stranger to Malaysian fans as they have made several appearances in Malaysia but this will be Hui and E'Dawn (members of Pentagon) first appearance in Malaysia. Not to mention, DJ Wegun (from AOMG) and the special guest Vincent who will be rocking the stage. *Rock Zone purchasers will stand a chance to have a photo opportunity with one of the idols. The winners will be selected through campaigns/quizzes conducted by the organiser. Stay tuned to K Fun Stage for more info. Tickets are now available to purchase via RedTix, Rock Corner Outlets, Victoria Music Outlets and Penang Outlets. Any collaboration stage? We are not sure....but the exciting performances for sure await you! Hey, thanks for sharing the updates of last electrifying event we had came across in couple of months back in recent time. 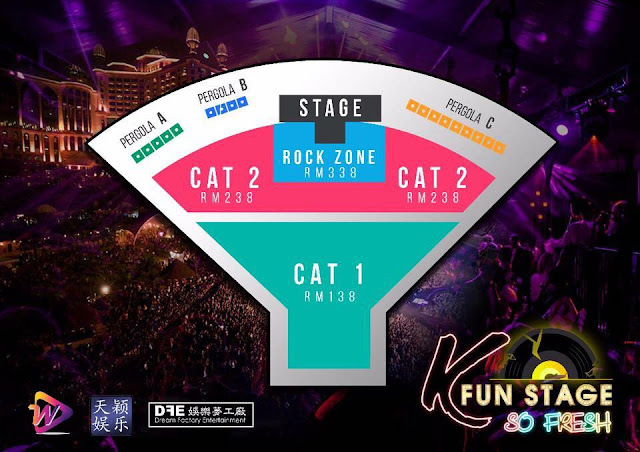 K fun stage was so fabulous to please audience. Here we would like introduce our company My Meeting Partner, a leading conference organizer group offers all business event planning, IT consulting to industries, helps agency to how to generate, how to commemorate with top world class business minded professional, IT leaders across all platform etc. Looking to setup an convention in Malaysia? See us online to find ideas for your next business summit with International congress members.